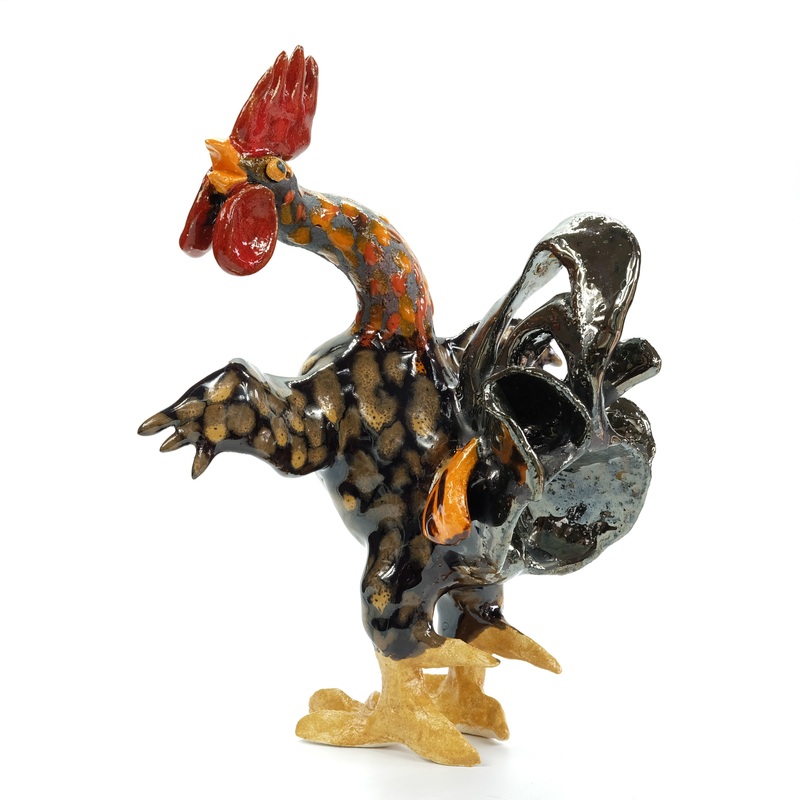 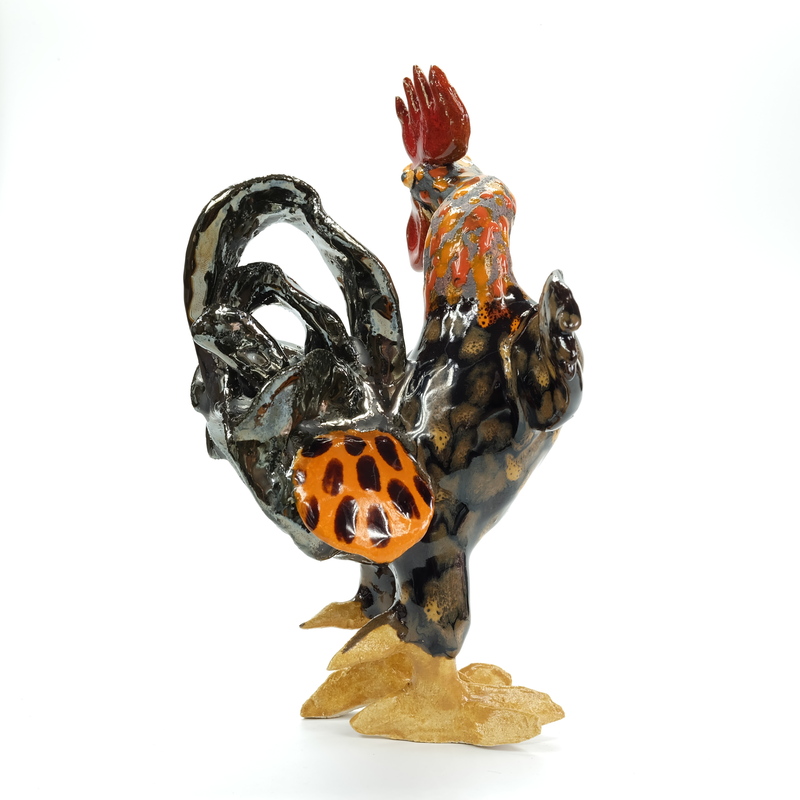 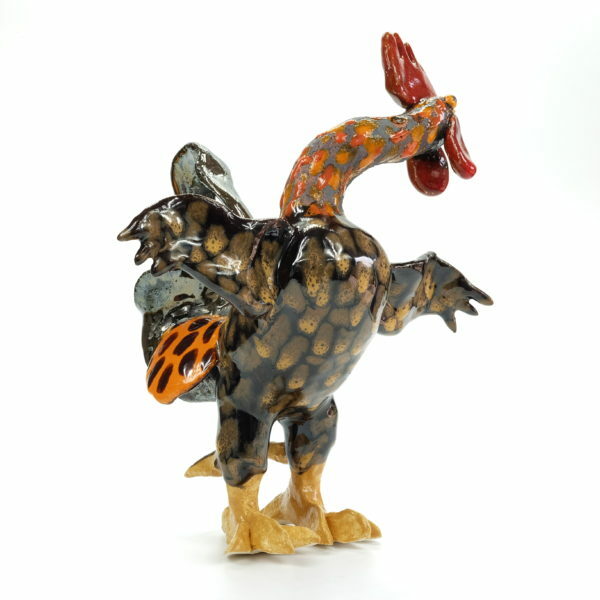 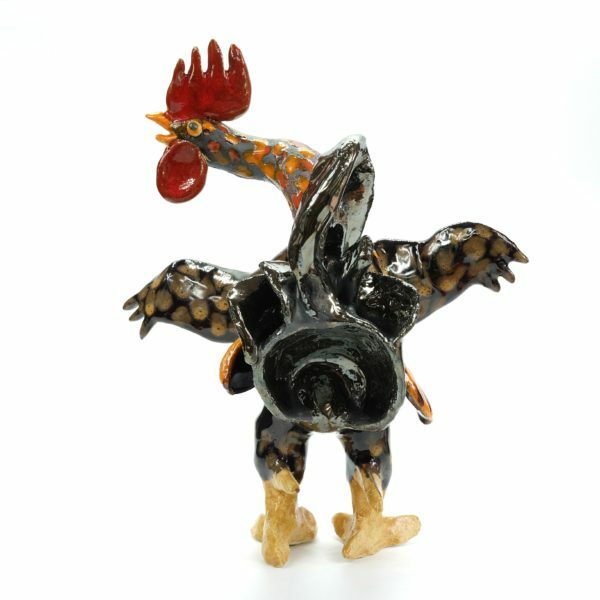 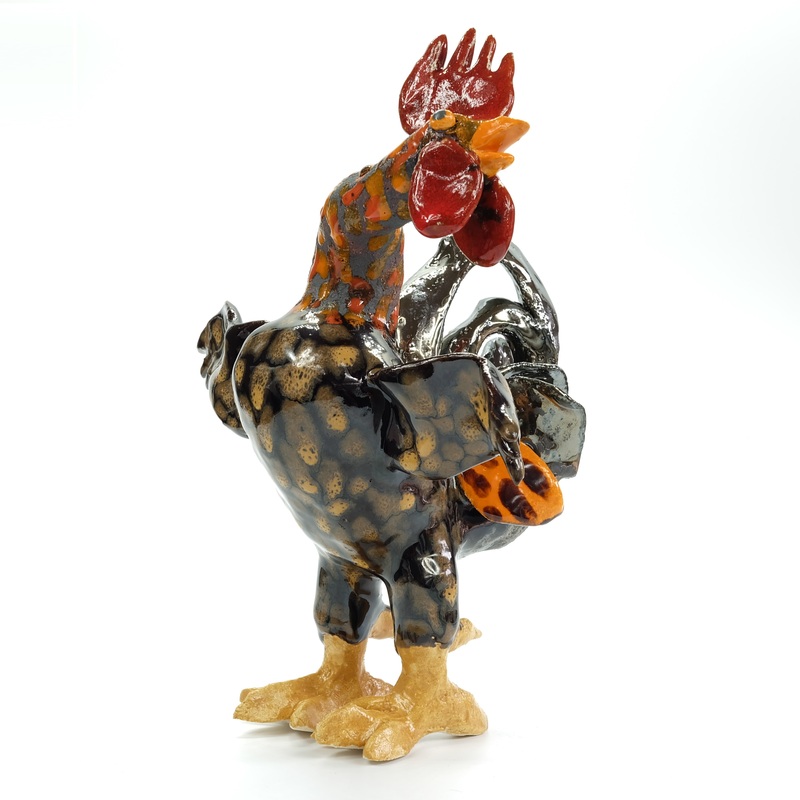 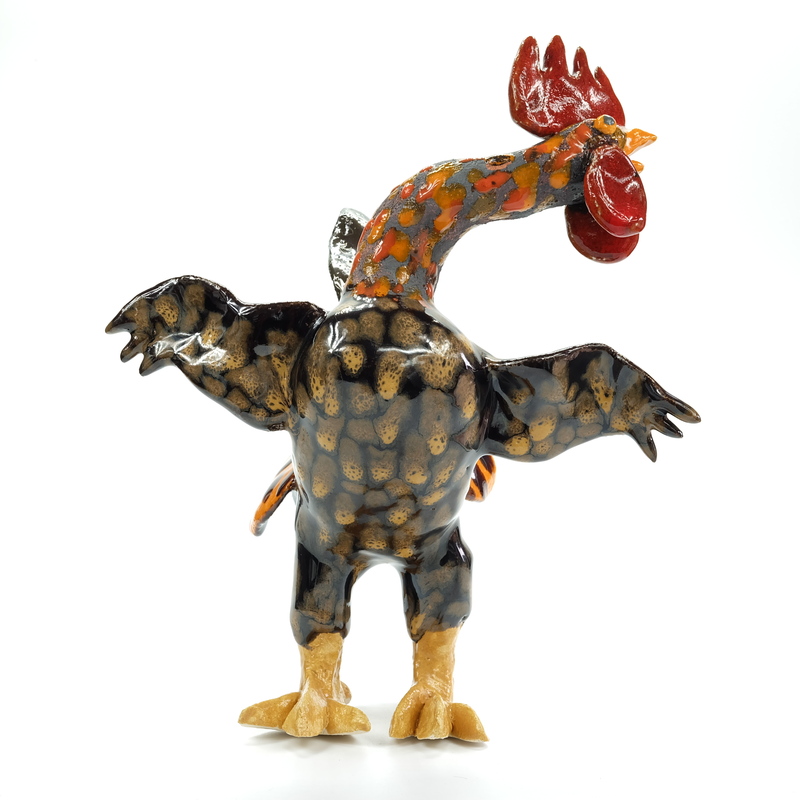 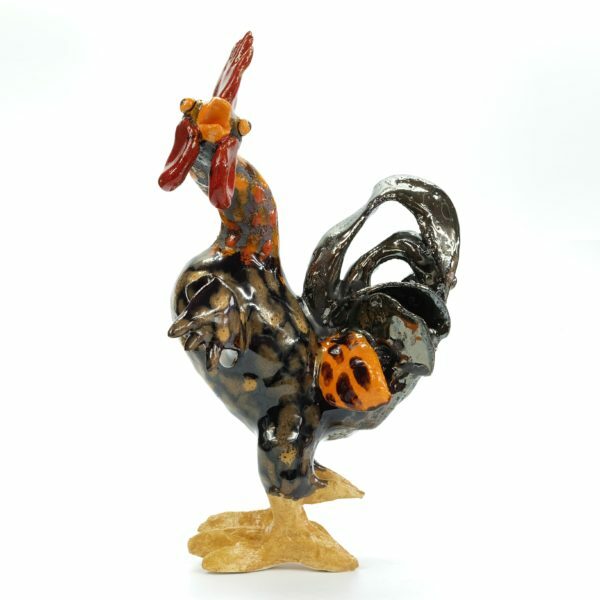 I love making roosters – they have attitude to spare. 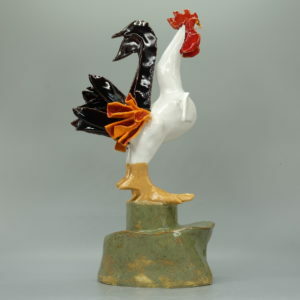 This one seems even more extroverted than most. 25cm high, 15cm deep, 20cm wide.